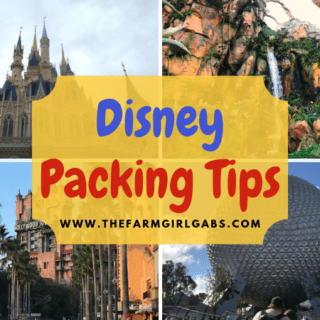 There is just no denying it, from the moment I saw a sneak peek of the Disney*Pixar film, Inside Out, at the Disney Social Media Moms Celebration in May, I knew this movie was going to be a big hit. Inside Out examines the Emotions going inside 11-year-old Riley’s head. At “headquarters”, the emotions of joy, sadness, fear, disgust and anger, as well as Riley’s imaginary friend Bing Bong, each play and integral part of Riley’s childhood. I am so excited that this wonderful movie is now available on DVD/Blu-Ray so I can watch it again (and again….and again…and again) with my family. To celebrate the movie’s DVD/BlueRay release, I thought it would be fun to invite my youngest nephew over to watch the movie and make an Inside Out Memory Ornament. I picked up the DVD at Target as well as some snacks to enjoy while we watched the movie. Christmas is right around the corner. Some of you may be jumping for joy (as in the emotion – sorry, no pun intended) like I am, while others may be cringing at the thought. Anyway, Christmas is a big deal in my house. I cherish each of the handmade ornaments my kids have made over the years. 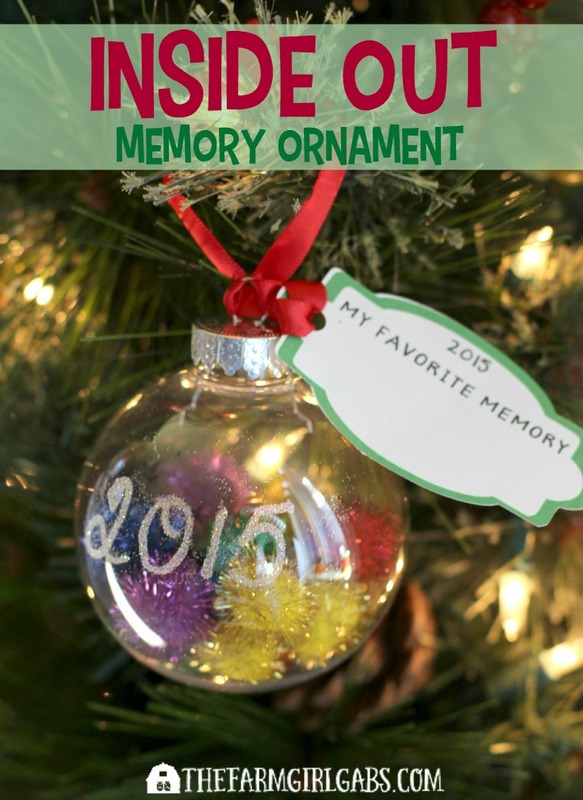 An Inside Out Memory Ornament are a wonderful way for kids to explore emotions and their favorite memories by hanging them on the Christmas tree. Did I mention they are really easy to make too. You only need a few simple supplies. Ok, now that you have your craft supplies, here’s what you need to do. 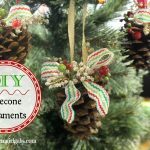 Remove the ornament hanger from the ornament and then start filling the ornament with the glitter pom-poms. These represent each of the color emotions from the movie. Now, technically, the ornament should have more yellow pom-poms than any other color since this represents Joy. And we all want to have more joyful memories, right??!! But, let you kids create them any way they want. That’s called creativity. Replace the ornament hanger. Take your glue pen and write the date somewhere on the ornament. Give the ornament a dusting of glitter and allow it to dry. 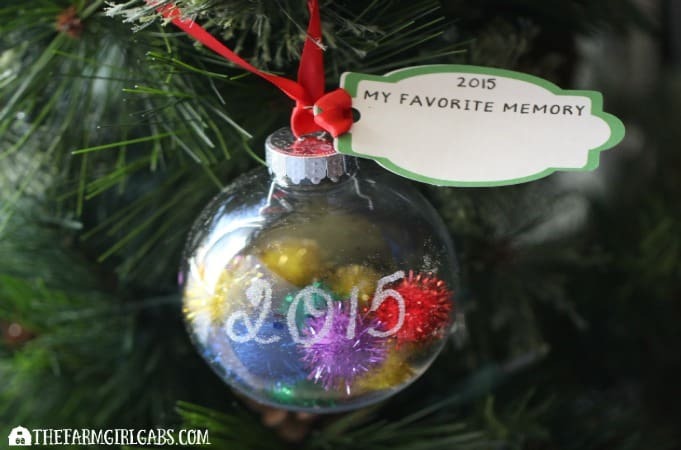 While the glitter is drying, have your kids write their favorite memory on the memory tag. You can either copy and print the graphic above or, if you have a Silhouette CAMEO, you can grab my cut file here. Once the glitter is dry, cut a piece of ribbon and tie the tag to the ornament. Now all you have to do is find a perfect spot on your tree to hang it. See, I told you it was an easy craft project. I love simple crafts that the kids can do. I purchased the Inside Out DVD at Target, along with some craft supplies and snacks to make our Inside Out Movie Night perfect. Target is the one-stop shop of all your movie night needs! The Inside Out DVDs and Blu-Rays purchased at Target include 20 minutes of exclusive bonus content and deleted scenes.